If you answered yes to both questions, you clearly have good taste and good sense. You want kitchen appliances that feature both elegant form and efficient function, all in one high-performance, statement-making package. But then the question becomes, “How do you find the right one?” Evaluating all the options, combinations, and innovations can be daunting. Where do you start? What are your priorities? How do you compare? Who should you trust? In today’s crowdsourcing era—when almost no one buys anything without searching for online reviews first—it’s tempting just to take anonymous people’s word for things. But there’s really no substitute for a knowledgeable, unbiased assessment from a source with authority and integrity—especially if that source is an American icon. That’s why we’re delighted one of Blomberg’s Euro-style dishwashers was included among Consumer Reports Best Dishwashers of 2017. CR’s reputation for rigorous testing and objective ratings is practically legendary. For the dishwasher analysis, Consumer Reports conducted a 28-hour test that included fully loading each model with dishes—some caked with baked-on food—and running a normal cycle. The top priority, of course, was how well each one cleaned. But the researchers also recorded cycle time, tracked the noise level, and rated other features. CR singled out the Blomberg DWT25502SS for its stainless-steel interior, soil sensor, and adjustable upper rack, all at an affordable price. Since introducing Blomberg to the American market in 2008, we’ve received plenty of rave reviews. Our contemporary European design, innovative engineering, and emphasis on performance harmonize perfectly with designers, architects, builders, and discriminating homeowners looking for beautiful energy- and space-saving solutions. 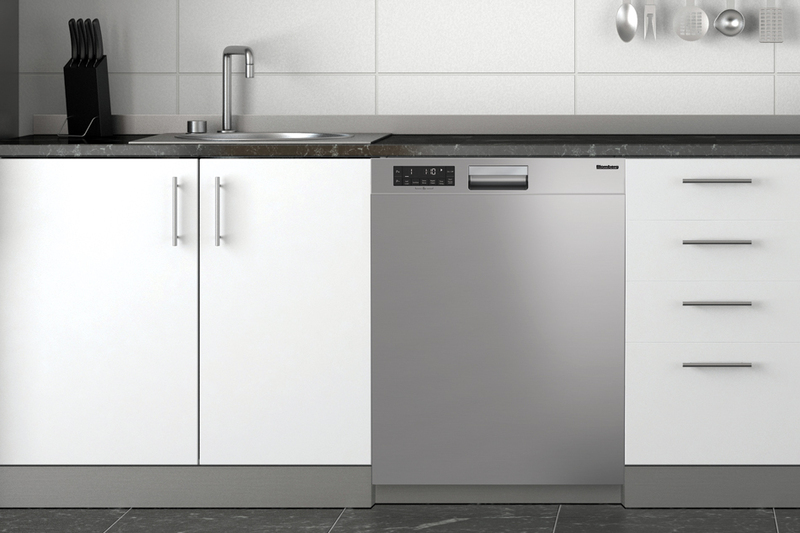 Compared to other European-style dishwashers out there, we think Blomberg offers a premium level of luxury far beyond what its price suggests. Now it looks like Consumer Reports researchers agree. And, in an interesting turnabout, CR recently turned to us for our expertise and some answers! A CR newsletter article about how to make a dishwasher last longer included advice from Mark McCleary, vice president of marketing for Beko U.S. Inc. Additional proof we’re gaining even more admirers in America!